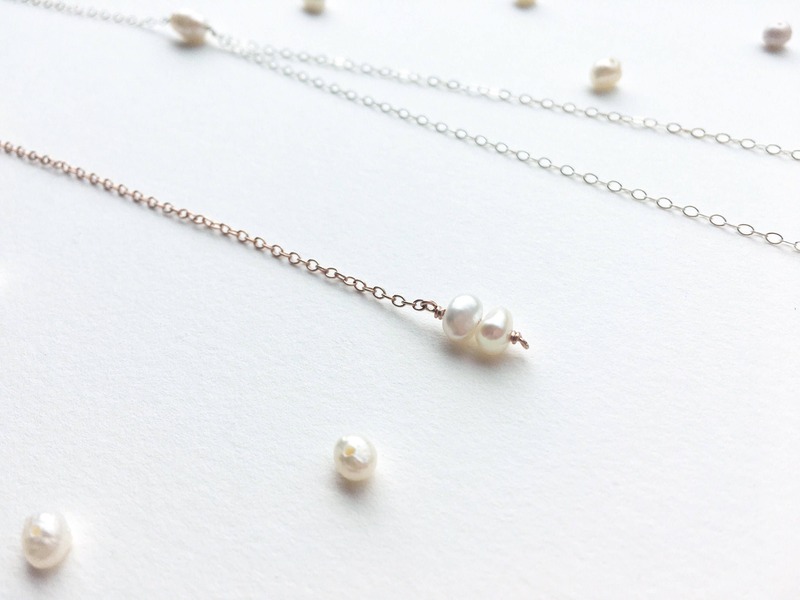 This stunning pearl choker y-necklace is the perfect delicate accessory for any occasion. It has the same look of a lariat necklace, but does not adjust. 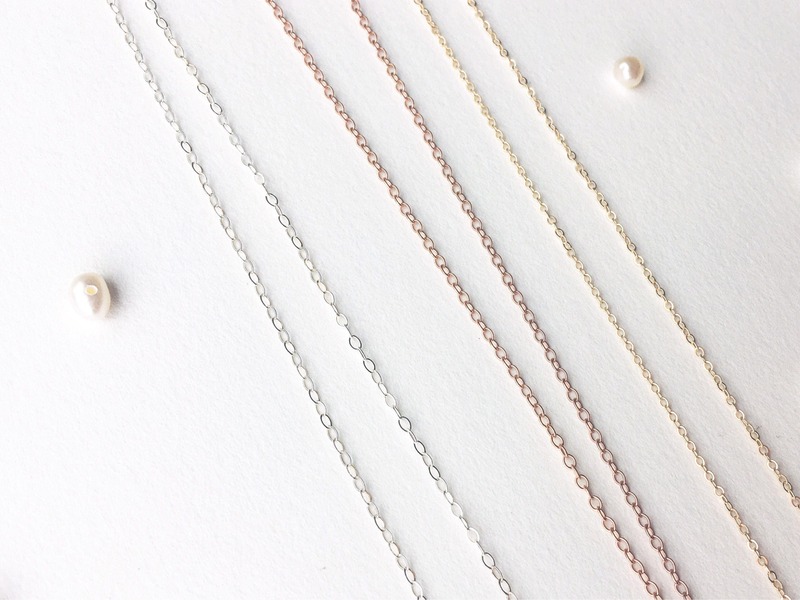 This necklace is completely custom: you choose the chain finish and necklace length. The hand-formed hook and eye closure is matched to the chain, hammered and polished for a strong, luxurious finish. 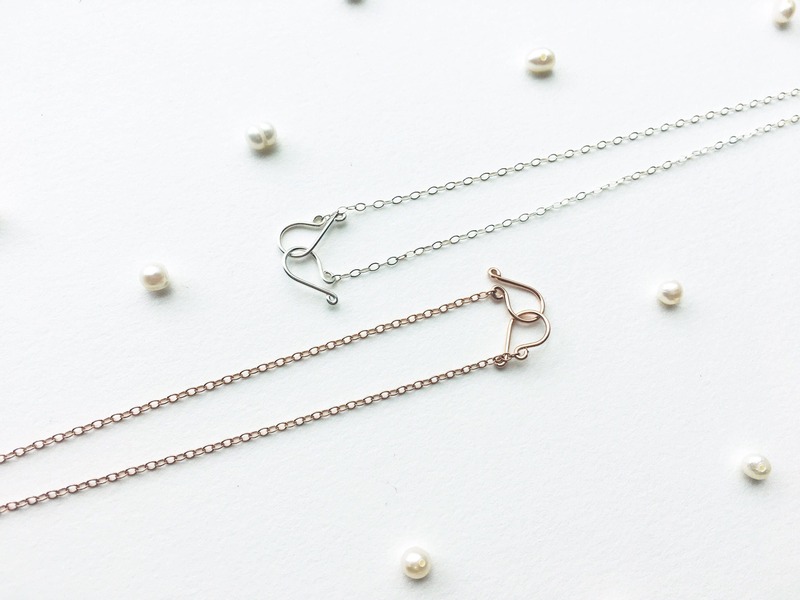 This necklace length is measured from end to end. 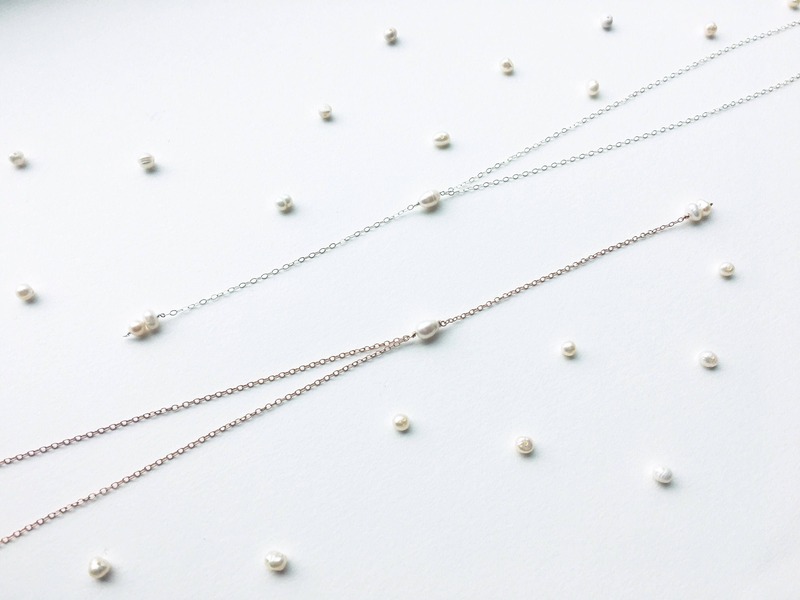 Each necklace has a 4" drop with two small pearls at the end. For the gold and rose gold options, only 14k gold filled chain and wire are used. With reasonable care 14k gold filled materials will not peel or flake, and should last as long as solid 14k gold jewelry. It is safe for most people with sensitive skin. Pearl is a stone of faith, integrity and can be very calming. 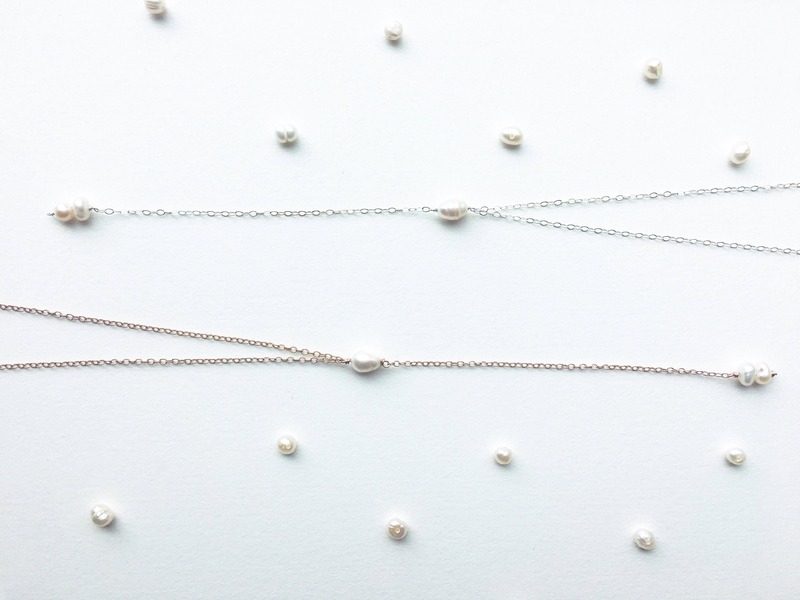 Wear this beautiful, delicate necklace as you adventure through a life of peace. 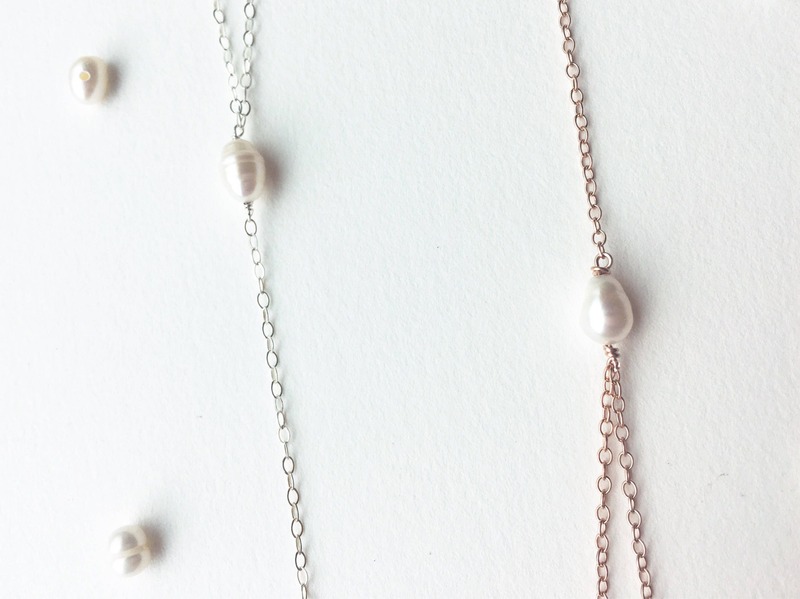 Need necklaces for bridesmaids? I offer a discount of 20% at 3+ necklaces, just request a custom order! Interested in a different length? Request a custom order! I would love to make a piece to fit what you're looking for.